“This St. Matthew 18:19 Bible Prayer Rug is Soaked with the Power of Prayer for you. Use it immediately, then please return it with your Prayer Needs Checked on our letter to you.” It must be mailed to a second home that needs a blessing after you used it. Prayer works. Expect God’s blessing. But not so fast! You'll also need the power of their Miracle Prayer Cross (which didn't come with the Prayer Letter), but (thank God) it can be ordered. If the reader still has doubts, believers only need consider the Jews (and few gentiles) healed in the Gospels by Jesus or the Wonder Workering Christians in the New Testament (especially the Book of Acts) both of whom often used gimmicks much like this to heal others. Still need more proof, then perhaps personal testimonies will convince all the Doubting Thomases. 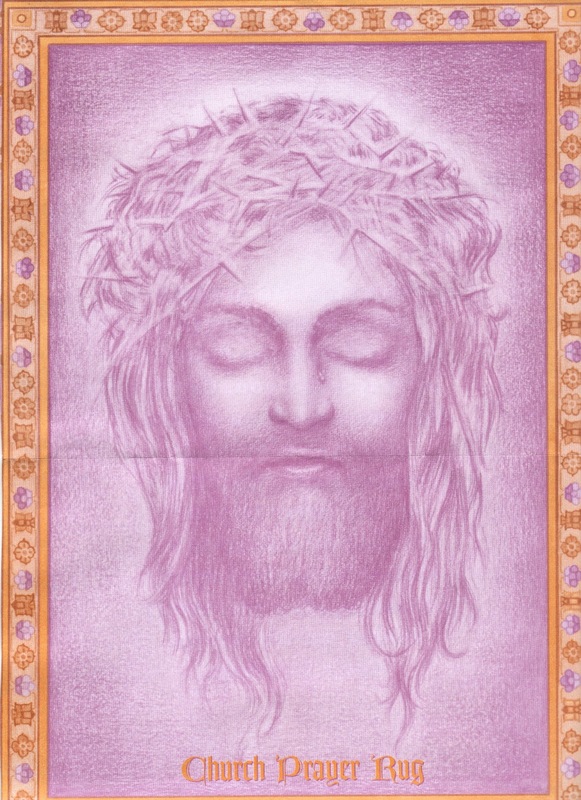 Here's my Church Prayer Rug with its miracle proof by none other than Jesus Himself! 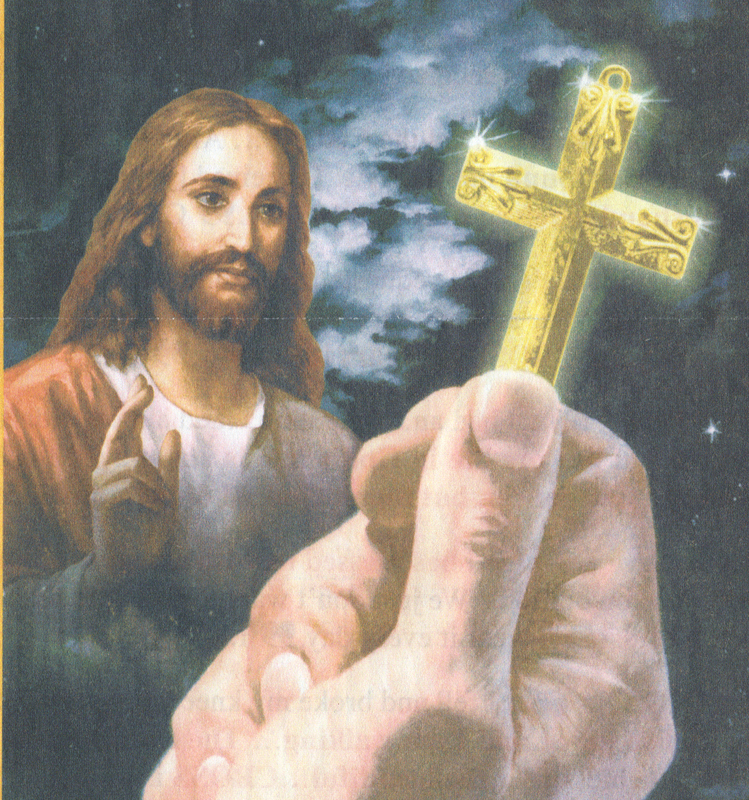 "Look into Jesus' Eyes you will see they are closed. But as you continue to look you will see His eyes opening and looking back into your eyes. Then go and be alone and kneel on this Rug of Faith or touch it to both knees. Then please check your needs on our letter to you. Please return this Prayer Rug. Do not keep it."